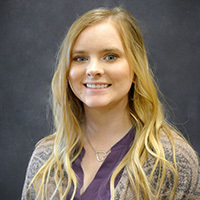 Katie entered the MPPA program in the fall of 2017. She previously graduated from Baylor with a B.A. in Political Science and History in 2015. She has been working for the City of Hewitt since February, 2015, where she has served as an intern and the Special Projects Coordinator in Administration, and is currently the Managing Director of Administration. Her academic interests are: American Political Thought, Public Policy Analysis, Political Theory, History of Urban Development, American and European Political History, Intersection of Technology and Political Analysis, and Modern Public Administration. "Visigoth Law and its Origins" in The Pulse 12, no.1.